As Tracey – who has recently taken on the Support Co-ordinator role here – said in her recap, one of the main benefits of attending the conference was simply the ability to network and take part in discussions around NRM. Many of our clients and other attendees appeared to be quite future-focused this time around, and were very keen to discuss the application of technology and its benefits to the NRM sector. This interest ranged from very keen conservation volunteers who were fascinated by mobile phone apps designed for citizen science projects, to project managers and field workers who were more interested in the Geographic Information System (GIS) side of things. A distinct interest in GRID was also noticeable across the board – a little unsurprising seeing that this very community has built it! After lunch on the first day, we – together with NRM champions and interested observers – put our heads together to envisage the future of GRID. Feature suggestions that had been rolling in in recent months and a few bright ideas on the day were committed to big sheets of paper. 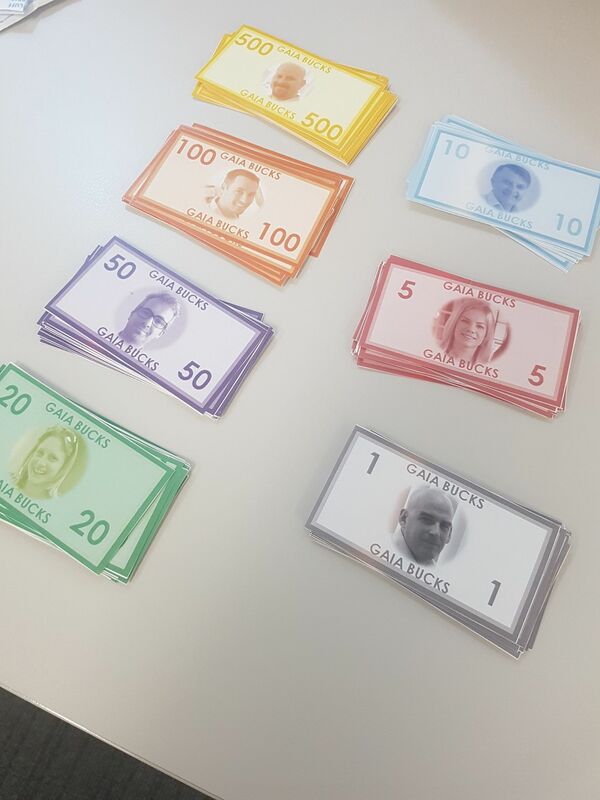 A wad of “Gaia Bucks” in different denominations (see below) were distributed, and – following a summary of what was being released in the short term for GRID – each NRM representative was asked to put their money where they felt a given future feature would deliver them the most value. The workshop was a fun and collaborative way to talk through what is important for the potentially changing (or evolving) needs of the NRM community. 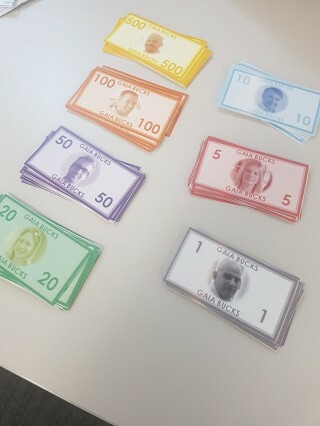 The Gaia Bucks, ready to be spent. Project listing being able to be filtered. Of these historical “big four” we’ve delivered on most of these – with the notable exception of the GRID Mobile toolkit. We didn’t get the full funding we needed to build a complete new GRID Mobile tool at the moment, but we’ve taken the first steps here with our technology review component in the current GRID enhancement project. It looks like we’ll be pushing forward with the recommendations from this previous review to see if we can deliver on the GRID mobile requirement reiterated in this workshop. We are putting together a repeat of the 2015 infographic on the Roadmap workshop which will be sent out to all our GRID clients in the near future, to show them what they came up with as the priorities. The State NRM (and coastal) conference was certainly an important event for us, and for the GRID product. It gives us the opportunity to sit with our clients and discuss a range of things about the software during the few days. Although our stand was tucked so far out of the way (we gave up on it and turned it into a charging station on the last day) we were still able to get out and mingle and talk to a lot of people. There was a bit of a challenge at the end of the conference about what the NRM sector would look like if we get “it” “right”, and if we get “it” “wrong”. This started my brain fizzing a bit, so I’ve been writing little notes since the wrap up that I’ll possibly turn into a separate blog down the track. One of the highlights for me was how many people knew who we were here at Gaia Resources and all those who already knew about GRID. There was even a reference to GRID in the WA Landcare Network report about reporting and monitoring their activities, which touts GRID as part of the ongoing solution for many of the issues that they face in this area. It was an interesting few days; and this conference is something that only comes around every two years, so making the most of it is important – and we certainly think that the GRID roadmap workshop is something that’s worth doing every year. If you want to know more about anything that we do with GRID, or with the NRM community, then feel free to drop me a line directly, or start a conversation with us on Facebook, Twitter or LinkedIn.